Suggestions to rule changes welcome. Warning, challenge may be of benefit to your health. Take a picture of you bicycle with the object or place named by the previous winner, and then set the next challenge. 1. Your have to have ridden the bike to the destination. 2. Picture has to be taken after challenge is made. Challenge must be met by a single picture. You can post more pictures to make something clearer. 3. Challenge is good for one week. If nobody gets it by then, please select a different challenge. 4. Challenges must be legal and Safe For Work. 5. If you comment rather than post an entry, then please repeat the current challenge at the end of your comment, especially if you start a new page. 6. No repeat challenges within this thread. You can repeat challenges from previous rounds. 7. Only one person can win each challenge and set the next one. Challenge setter to resolve any disputes, or failing that, three consecutive Thumbs Ups from other members wins it. 8. Challenges cannot be won by the person setting the challenge. 9. If you want to show a late entry after a challenge has been won, then please only post a link to the picture. Do not actually show your image directly as it's confusing. 10. Round ends when first person gets to 10 challenge wins? 11. Lets try and keep challenges doable for most riders. Obviously some challenges may be more geared towards the off road bikes, or towards the roadies. That's fine, but if we find that one challenge is difficult for one style of bike, try to make the next challenge a more inclusive one before a specialised one again. Winner of the round copies this post and creates the next round challenge thread and post with the poll. And second post in the new thread with the first challenge for the new round. The goal is to encourage people to ride out, so please make challenges clear and achievable by most members. Challenges that require other people or props or that can be satisfied by taking a picture of your bike in the driveway or garage are generally frowned upon. Dangerous or practically impossible challenges should not be set. 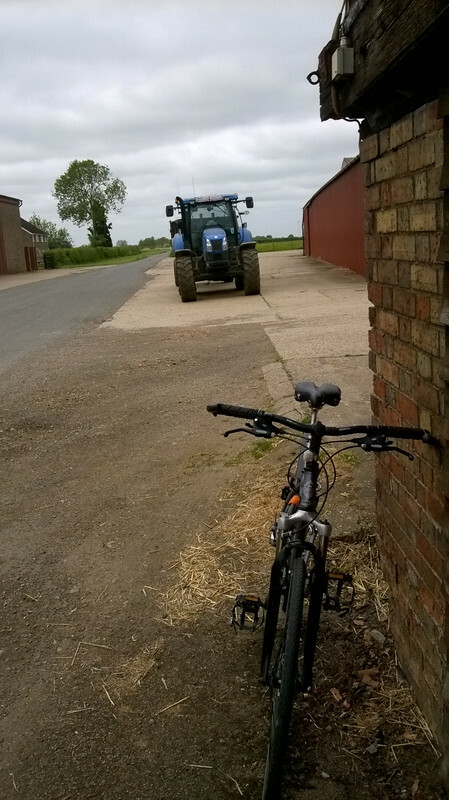 Your bike with some kind of farm animal in the background. Better late than never, i mucked my Strava recording up taking this photo too, didn't realise my Windows App auto paused when I took the photo. Easy one, your bicycle next to a motorbike. 3 Challenge Forte Clincher Tyres 700 X 23mm. Fitted But Never Used!